Differin is a prescription only medication that is used to treat acne. It is primarily used for acne that is on the surface of the skin, such as blackheads and whiteheads. The active ingredient in Differin is called Adapalene. Adapalene is a retinoid, which is a class of medicine that is derived from vitamin A. It works by regulating cell turnover, ensuring that pores do not get clogged up and form acne. Increasing skin cell turnover allows the skin to naturally exfoliate, ensuring that oil and dead skin cells do not block pores and form blackheads or whiteheads. Adapalene also serves as an anti-inflammatory, reducing the redness and swelling that accompanies acne, helping to restore skin tone and texture. How do I use Differin? Before applying Differin, you should remove any make-up and wash your face with a gentle face wash that is hypoallergenic and free from fragrances. Wash your hands before touching Differin, and apply a small amount on your fingertip. Apply the cream to the affected areas and rub it in gently. You should wash your hands after use. Using more Differin than you need to will not clear your acne any quicker, but may result in increased skin irritation. Avoid using Differin on sensitive areas of the skin, such as areas that may be affected by eczema, broken skin or on areas that may be sunburnt. Take care in ensuring that Differin does not come into contact with your eye lids, mouth, nostrils or sensitive areas of your body such as your neck. What if I forget to use Differin? Forgetting to use Differin on the odd occasion won’t have an effect on your treatment in the long-term. You should apply Differin the next evening as usual. Continuously forgetting to apply Differin can slow down your rate of treatment, and results will not be as effective. When should I use Differin? Differin should be applied to acne once at night, before bed. Where can I use Differin? Differin can be applied to the face, chest, or back areas. How long does it take for Differin to work? It depends on your skin type and the severity of your acne. On average, positive results can be seen after two weeks, but it takes around 12 weeks for the full benefit to be seen. How long should I use Differin for? Your doctor should have informed you of the length of treatment with Differin. Most people are prescribed Differin for 2 months before having to go back for a review. If there is no improvement, you may be prescribed an add on treatment, or a different treatment altogether. It is also common for Differin to be used long-term for treating and preventing acne, but you should speak to your doctor about this. Differin has been used with success for a number of years in helping to treat and prevent acne. Everybody has a different skin type, and whilst many find Differin to be effective in treating acne, some may not. There are other alternatives available in this case. Who should not use Differin? Is Differin safe to use whilst pregnant or breastfeeding? You should not use Differin whilst pregnant. Differin is safe to use whilst breastfeeding, but you should avoid using it on the chest area. Can I use Differin with other products for acne? Differin can be used with other products such as Benzoyl Peroxide, Clindamycin and erythromycin, but these products must be applied in the morning, so that Differin can be applied at night. What is the difference between Differin Cream and Gel? Differin gel is usually the product of choice for those with oily skin. However, Differin gel can cause skin to dry up easily and can cause more irritation than creams. Differin cream is used for those with a more sensitive skin type that is prone to irritation and drying. Why is my skin experiencing sensitivity to Differin? The main ingredient in Differin is adapalene, a retinoid. All retinoids require the skin to adjust to them, in a process known as retinization. Your skin may become more sensitive and irritated from using Differin, but your skin is building up tolerance to the retinoid. Retinization can start a few days or weeks after using Differin, lasting for a few weeks, but this period will subside when your skin has acclimatised. Does Differin help to reduce and prevent wrinkles? Retinoids, including Differin are commonly used to prevent and treat wrinkles, aswell as hyperpigmentation (the appearance of dark spots on the skin as a result of an overproduction of melanin). You should see a dermatologist about using retinoids for this purpose. Can you buy Differin over the counter without a prescription? 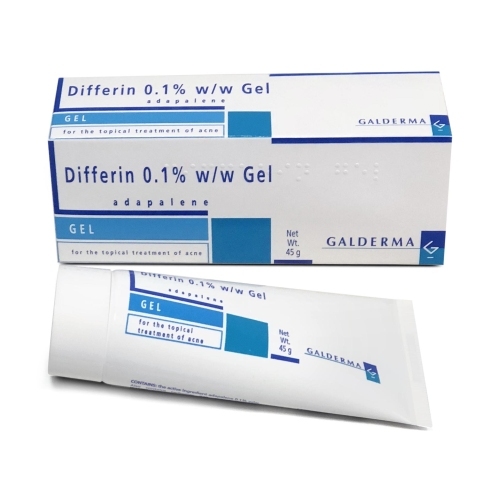 Differin is available to purchase of the counter in the USA. In the UK, a prescription is required to obtain Differin. Where can I buy Differin? 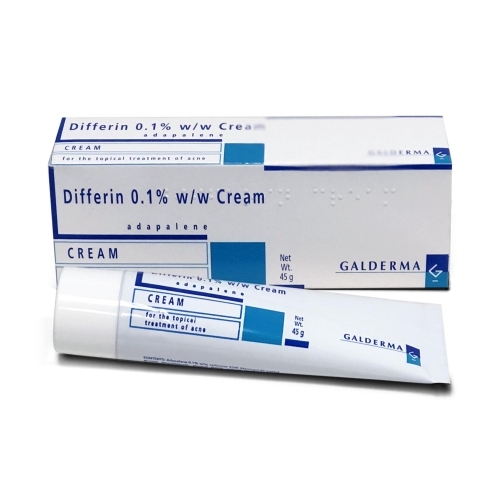 You can buy Differin online using our registered service. This involves filling out a medical questionnaire, so that our prescribers can asses the suitability of the product for your use.